This pattern is from Framed in Lace. 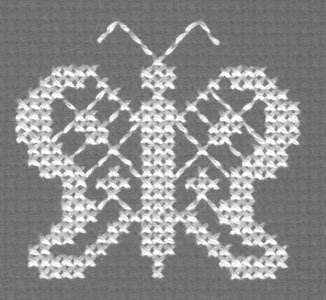 It was designed by Denise Williams from a bobbin lace pattern invented by Virginia Berringer. I think it looks very nice worked in DMC’s white rayon floss on wine colored Aida cloth.